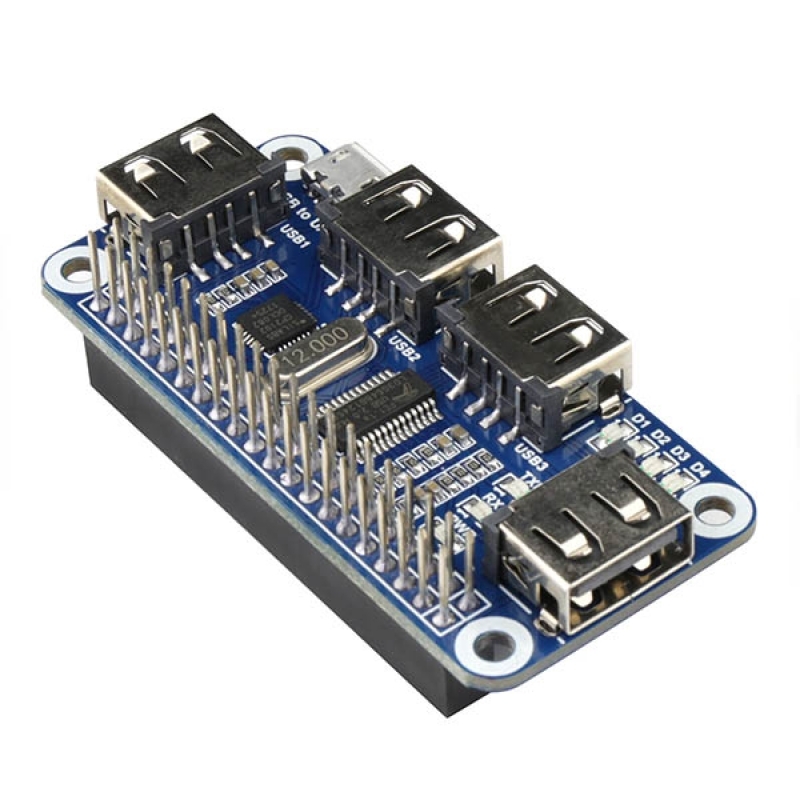 This product is a 4-port USB hub using FE1.1S as the main control chip. 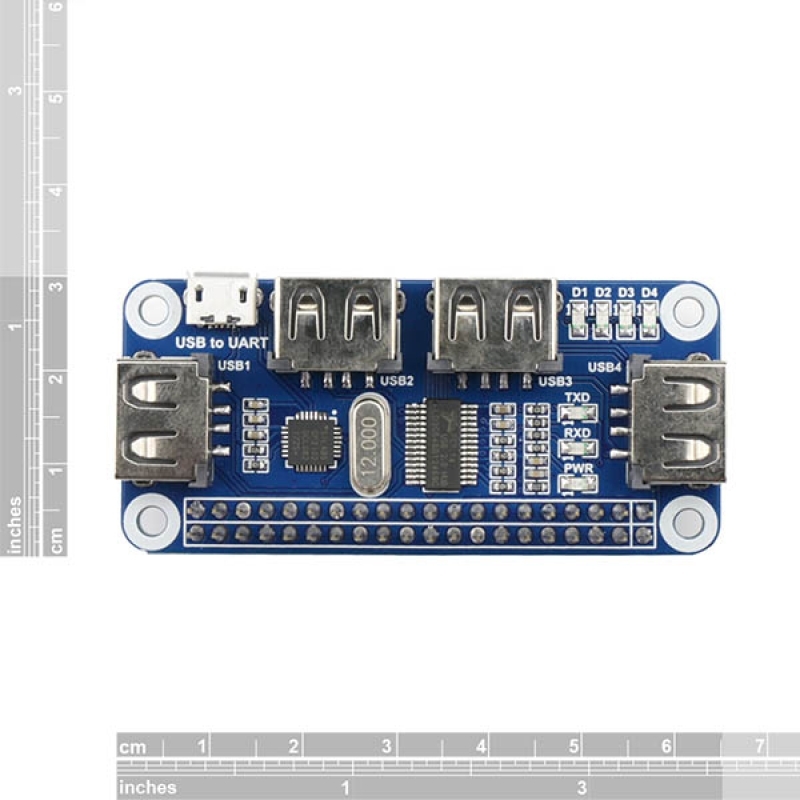 It integrates the USB to serial port function to make it convenient for Raspberry Pi Zero / Zero W accessing various USB devices. 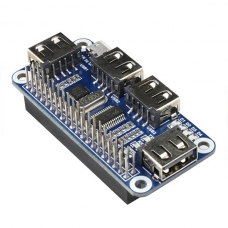 And also it can be used on other types of Raspberry Pi. When the module is plugged into the Raspberry Pi, the red power indicator lights up. 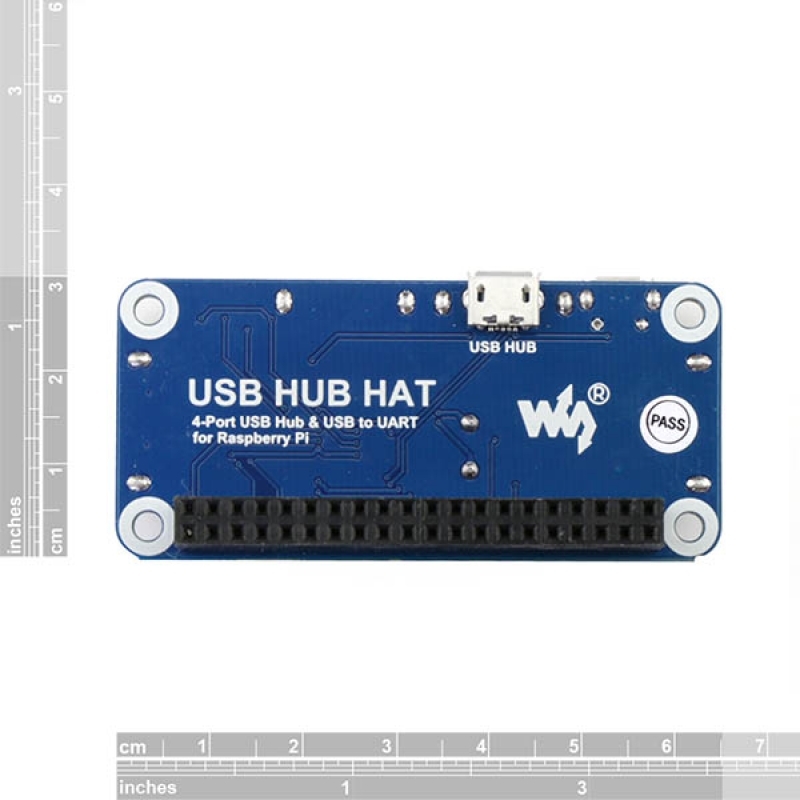 When each USB port is connected to the device, the corresponding indicator lights up. 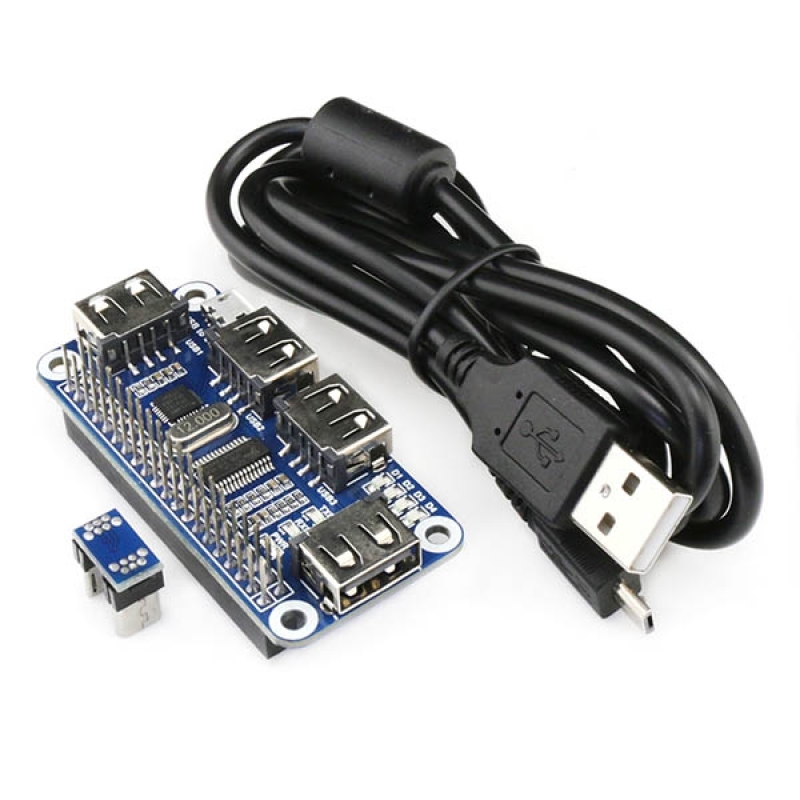 Connect the USB to UART interface to computer, controlling the Raspberry Pi via serial terminal. When the serial port transmits data, the RX, TX indicator will light up.